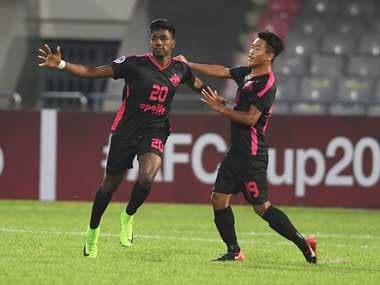 Chennai: Two-time Indian Super League (ISL) champions Chennaiyin FC on Friday announced the signing of 22-year-old Sinivasan Pandiyan from Chennai City FC on a permanent move subject to transfer window regulations. The Thanjavur-born central midfielder has penned a three-year contract with the current ISL title holders on the back of an impressive I-League 2017-18 campaign. 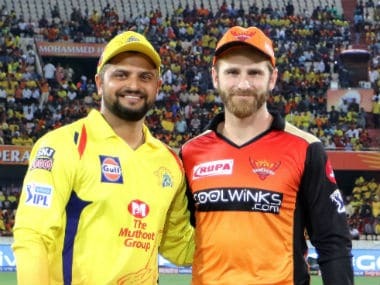 He appeared on 17 instances for Chennai City, starting in 16 of them and proved to be a vital component in the side's fight for survival in the competition. Chennaiyin FC co-owner Vita Dani took the opportunity to welcome Pandiyan to the club. "It is a great moment for everyone at the club to have another player from Tamil Nadu representing us. We are excited to have Pandiyan join us ahead of a challenging season of title defence. He has come leaps and bounds in the last few years and we're sure he will only get better with us." 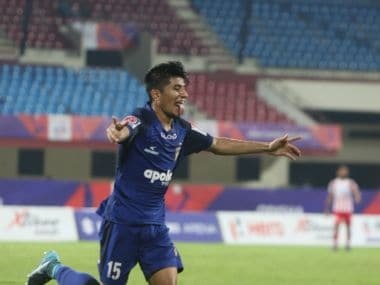 Pandiyan will be aiming to prove his mettle at Chennaiyin FC in what will be a landmark season for the club with AFC Cup commitments on the horizon. Head coach John Gregory expressed his delight on the new arrival by saying, "It is always great for any football club to promote local talent and in Pandiyan we have one of the brightest talents in Tamil Nadu as well as in India. I believe he is a player with huge potential and I'm looking forward to working with him in pre-season."